Sebastian and Vero Beach will be lower gas prices below $2 a gallon by Christmas. 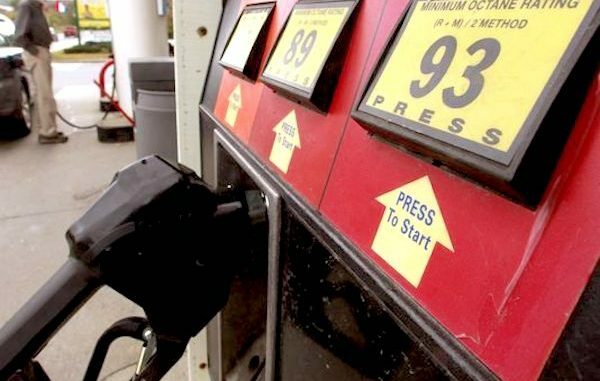 SEBASTIAN – Gas prices in Florida have soared since Hurricane Irma, and many Indian River County residents in Sebastian and Vero Beach are feeling the financial burden. According to GasBuddy, the lowest price for gas this week in Sebastian was at $2.62 and $2.63 at Cumberland Farms at the intersection of CR-512 and Barber Street and Mobil at the corner of U.S. Highway 1 and CR-512. In Vero Beach, gas prices were about the same at Cumberland Farms on 27th Avenue, Speedway on U.S. Highway 1, and Sam’s Club on 20th Street. The average price of a gallon of regular dropped a penny in Florida to $2.71 a gallon, according to AAA’s Saturday reading, down two cents from a week ago when prices were at their 2017 high. Since Hurricane Harvey, prices jumped 32 cents a gallon in just two weeks as refineries in the Houston area were shuttered due to the storm. Hurricane Irma also drove up prices in Indian River County after experiencing widespread gasoline shortages as people in Sebastian and Vero Beach rushed to fill up ahead of the storm. Kloza said he expects gas prices to fall steadily through the rest of this year, with the national average falling back down to $2.25. Sebastian and Vero Beach motorists can expect the gas prices to drop again below $2 a gallon by Christmas.